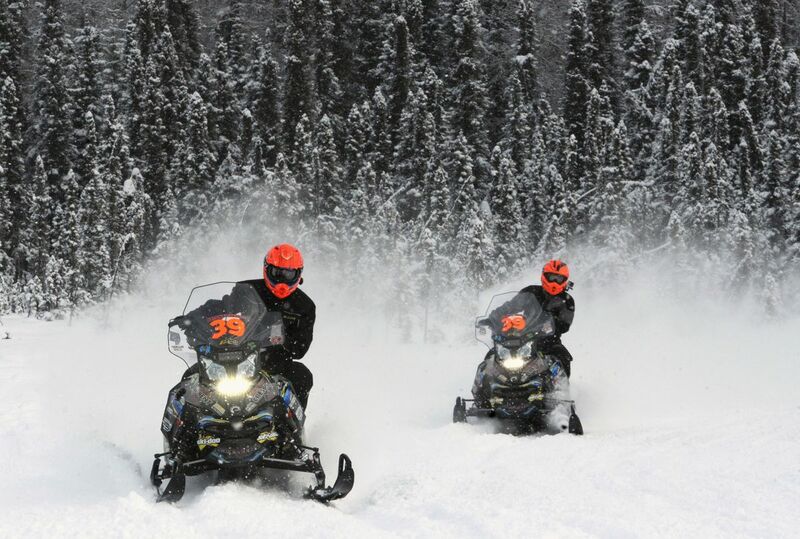 Given a reprieve after financial woes nearly doomed the race last summer, the Iron Dog snowmachine race begins this weekend with 24 teams chasing a $100,000 cash purse. Racers will leave Deshka Landing near Willow beginning at 11 a.m. Sunday. They’ll travel about 2,000 miles to Fairbanks by way of Nome, with racers hitting the finish line in Fairbanks sometime during daylight hours on Saturday, Feb. 23. The field includes three of the last five championship teams — defending champions Mike Morgan and Chris Olds, 2016 champions Tyler Akelstad and Tyson Johnson, and 2014 winners Todd Minnick and Nick Olstad. Morgan and Olds are driving Polaris machines and the other two teams will be aboard Ski-Doos. Financial issues almost led to the cancellation of the race, but the board of directors in August decided to stage a race this year. The Iron Dog still lacks a title sponsor, but Donlin Gold and Northern Air Cargo are still on board and smaller donations made since August’s decision have kept the race afloat, first-year executive director John Woodbury said earlier this year. Gone is the ceremonial start in Anchorage, as well as the Flying Iron freestyle show that used to be part of the pre-race festitivies. Still on tap is the safety expo, which this year is Friday from 1-8 p.m. at the Menard Center in Wasilla. At 10 a.m. Friday, five trail-class teams will leave Southport Marina in Big Lake for a noncompetitive journey that ends in Nome.